Kid-friendly films always top our movies list, as they bring fun to families and remain appealing for any generations. Now you may wonder what are the best DVD movies you can enjoy with your kids for the weekend movie night. To tell the truth, this year is going to be another bumper year for children and family movies, with a load of new DVD releases coming out soon, promising classic fairy tales, comedy adventure, newly released animated feature films, super heroes and more! If you are in the mood for something great for your kids and families, here are our picks for the new DVD releases for kids and tips to enjoy them. Just enjoy! The following sector enables you to better manage your discs. They would make a digital backup of your large quantity of DVD discs to forever store your movie library and also free up your space in your room. Free download to have a try. MacX Video Converter Pro - Free download kids animated movies from YouTube or 300+ sites for offline smooth playback. MacX DVD Ripper Pro - 1:1 copy Disney/Marvel DVDs to Android iPhone iPad for watching freely. MacX MediaTrans - No.1 fast to transfer movies from computer to mobile device without any format issues. Admittedly, this year has yielded a top vintage of movies kids love to watch. 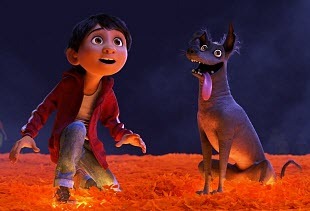 And it promises a lot of family fun for all ages with plenty of new DVD releases for kids, ranging from Disney big hits, from the popular Coco to the sequels to favorites The Incredibles 2. Below we pick the top new DVD movies your kids should never miss. Coco is among the BEST new kids movies DVD releases from Disney. 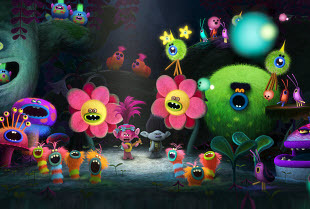 The movie is about a story of a young boy, who dreams to be a musician and sets off on an extraordinary journey after he accidently enters into a colorful land of Dead. This kid's movie has beautiful storytelling and stunning visual splendors that will keep your kids amused. The movie has scored 9.8 on IMDb; sure it's one of the must-have new family movies on DVD. 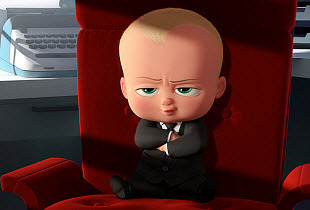 The Boss Baby is one of the most contrived new animated movies on DVD for kids. As its name suggests, the movie is about a new baby, who comes to a family and causes a battle for love between him and his new brother. This new kids DVD release has lots of fun for whole family, and many genuine heartwarming moments that can make you cry. Beyond that, it has a good message to send "Love, comes in different shapes and sizes." Maybe you can teach it to your kids while watching the movie. Children's favorite minions join in the new movies on DVD for kids and family, bringing fun and entertainment. In Despicable Me 3, minions are back, together with Gru and his long-lost twin brother Dru. The two brothers united together to fight against Balthazar Bratt, who seeks revenge against the world. If you have watched any of the first two, you will see these kids & family movies on DVD will bring fun for family members of any age. Another piece from top Disney new movie for Kids on DVD, Car 3 is ready to join your must-watch kids animated movies. 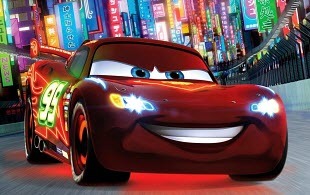 This Disney movies on DVD has children's loved Lighting McQueen ready to bring fun. The end is perfect and the way Cruiz shows up in the movie is amazing; the movie is full of memories. For kids who love both cars and animations, there is no better fit than the new kids DVD releases for a Saturday night. 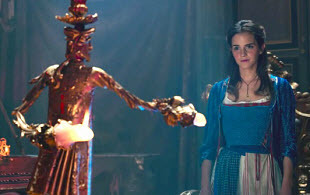 Beauty and the Beast is probably one of the most popular Disney DVD every kid or family should own. Though the movie got some mixed opinions, it's actually an excellent life version which is exactly the same as the cartoon. If the cartoon has accompanied many generations while growing up, so don't be afraid if your childhood will be ruined by it. Your kids will love this fairy tale. Do your kids love star war games? If yes, the Star Wars: The Last Jedi should be added to your list of new family movies for kids DVD releases. 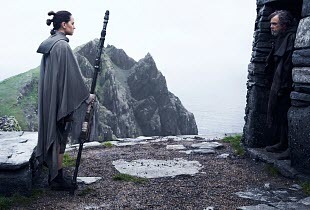 Continuing the story of the predecessor, the new star movie is about Rey who starts to strengthen her new ablities discovered in the previous flick. There are laser sword, Imperial Star Destroyer, splendid galaxy... Maybe it's also a good way to start a talk about the universa with your kids by watching the spectacular new kids movies on DVD. After a decade, 2004's The Incredibles, an animated movie for kids that has won the hearts of 90s kids, finally has its long-awaited sequel. 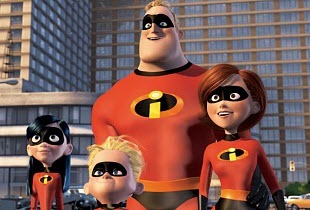 Different to other superhero movies from Disney or Marvel, The Incredibles 2 is about a family that is set in the world of superheroes. This kids cartoon movie on DVD mixes the super power that any superhero has, with unique funny features like adorable figures, sidesplitting plots, pleasing soundtracks, etc. This is definitely a cheerful animated kids movie worth watching. The last of the next family movies on DVD for kids is another sequel to a favorite classic- Wreck-It Ralph 2. 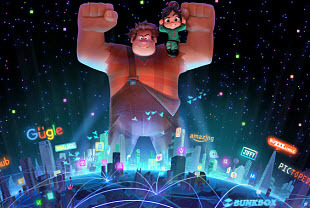 The movie is about Ralph and Vanellope who surfing around the Internet to find the part necessary to fix Vanellope's video game. The most interesting part is, the only princess in the Disney animation, is voiced by all of the same actresses who played the original parts. No more spoilers, this new kids DVD movie from Disney will make you laugh. Trolls is exactly a good animated movie for kids. It tell a story about the happiest Troll and her friend set an adventure to save their friends. It's fully about courage and friendship, forgiveness and understanding. It has cute charactors, colorful scenes, sweet singing and dancing, and most importantly, family fun. This kids cartoon movie is the second on the most-buy list. If you haven't watched it, you may wanna see it with your kids. The new princess of Disney Moana, is one of the next family movies on DVD for kids which is set in the vast seas of the South Pacific. 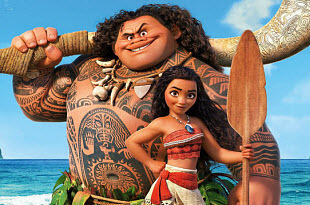 It's about the girl Moana, who has excellent navigating talents, starts an adventure to find a mythical island. Kids/adults will meet something scary and wonderful along with Moana. This new kid movie on DVD tops the list of the best-selling DVDs in US. You know that all kids are really terrible at looking after DVDs. We were forever finding the discs laying all over the floor or maybe in a case but never the right one. If you have hundreds or thousands of kids DVD discs and hard to find them out from the crowd, you can just rip them to hard drive, computer or USB flash drive to establish a digital movie library for your kids for better management. Considering that most good kids DVD movies come from Disney, Dreamworks, Pixar etc, you may need to be careful when you choose the DVD ripper as the DVD copy protections are really strong for most helpers available. In this case, MacX DVD Ripper Pro is recommended for you. 4. It takes advantage of Intel's QSV hardware acceleration tech to deliver 5x faster speed with untouched quality. Pixar's films are always filled with magic. The following review of top 10 best Disney Pixar movies will show you how they enchant you with Pixar's animated features. This article will share with you the top ten best DVD movies for kids, including the Disney movies, Dreamworks animation, Disney Pixar animated movies, etc. Plus, it will also tell you how to rip and backup these best DVD movies to enjoy without worrying about scratching or jam covering. Best MacX DVD Ripper Pro allows you to freely rip any Disney kids copy-protected movie DVDs to ISO image, MPEG2 and MKV or even portable devices. It will help you freely enjoy new kid movies at anytime and anywhere.